Our route has been carefully designed so that you may discover the most important points of interest in Santo Domingo in only 4 hours. The Santo Domingo Sightseeing circuit will allow you to see the most relevant historical and cultural points, local attractions, and the most prestigious shopping mall, as well submerge you into the life of the city in its splendor and live the unique lifestyle of its inhabitants. Languages of Tour: English Spanish French Italian Portuguese Type of Excursion: Cultural and Historical. Available Days: Sundays & Mondays Meeting point: Pick-up directly from the hotel lobby, the pick-up time will vary depending on your location. •	Schedule: 9:00am - 9:15am morning hours. & 2:00pm - 2:15pm evening hours. Duration of Tour: Half Day (4 hours). What you should bring: Clothes and comfortable shoes. Don't forget currency for the memories. Includes: Roundtrip Transportation, a guide that will accompany you throughout the trip and ticket entrance to the Botanical Garden. Note: Lunch is not included. Comments: Child (0-3 years old) are free accompanied by an adult. All children must be accompanied by an adult at all times. This ticket is valid for the day of the excursion. Prices: Adults US$50.00 p/p / Child (4-12 years) US$35.00 p/p. Taxes included. Prices are subject to change without notice. Please report if you have a group. 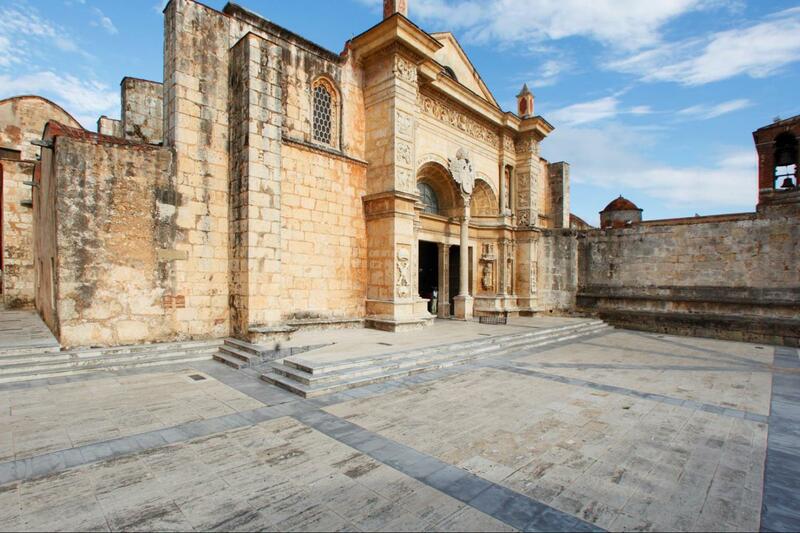 An amazing half day of history and culture, discover Santo Domingo, the first city of the Americas. Cruise through yesterday's narrow walkways and set out to unveil the humble beginnings of the New World. Tour the oldest colonial city, erected in the 15th century. View modern buildings such as the Fine Arts Palace, National Theatre and Presidential Palace, visit the boardwalk of Santo Domingo "The Malecon" where you will see the beauty of the Caribbean Sea. Visit the national botanical gardens, view the downtown area and stop at an upscale mall, Blue Mall. View famous government buildings and learn about the rich history of our city as well as all that the dominican cuisine and night life has to offer. Knowledgeable tour guide with a passion for history who obviously enjoys his job. Nice tour and places visited.. Highly recommended. The vehicle was a little late arriving, but they kept us going late, so that more than made up for it. The driver was very competent in the crazy Santo Domingo traffic. We were actually the only people on the bus, so we got a very personalized tour from our guide. Our guide was fantastic!! His English was perfect and he knew an encyclopedic amount about the city. When the tour ended in the colonial district he even got out of the vehicle and gave us a short walking tour, even though his job was technically done. If you don't have a lot of time to see Santo Domingo, I highly recommend Grey Line.